Security Square Mall is a large, 1 million square foot enclosed mall located in the western suburbs of Baltimore, Maryland. Until it came time to write this post, I didn’t actually realize that Security Square Mall is technically located in Baltimore, albeit an unincorporated section of Baltimore outside of the western edge of the I-695 beltway on Security Boulevard. Named for the massive Social Security Administration offices which are adjacent to the center, its location is decidedly suburban. Built in 1972, the 120-store Security Square Mall is laid out in a large eagle-shaped pattern, with a long, curved main hallway crossed by a large straight hallway. Hecht’s anchors the northern end of the straight cross hallway, and the two ends of the long “wingspan” of the mall are Sears and Modell’s Sporting Goods. The Modell’s space was occupied by Montgomery Ward until the chain’s closure in 2001. The mall has been renovated twice, in 1988 and 1998. Judging by the extensive use of sepia-toned neon throughout the center, I’m guessing that the 1998 renovation was the more minor of the two. The Floridian color scheme and impressively animated shopping bag logo pin it pretty closely to the late 1980s. Once Baltimore’s premiere shopping destination, Security Square Mall today seems to suffer from the competition of even more dominant malls. The massive, high-end Mall at Columbia Town Centre is only about ten miles to the south, and the Owings Mills Mall–a large, two-level mall that has also struggled some in recent years–is located about ten miles to the north. Both of these other malls seem to benefit from being located in areas that are at least perceived to be safer. My own visit to Security Square was cut somewhat short (hence the shortage of photos of the exterior) because a particular group of mall patrons, unhappy with our presence, decided to make an unwelcoming comment of a racial nature. While I am certain that these young women did not speak for mall management or the vast majority of the mall’s patrons, it did hang like a pall on the visit and lead us to choose not to linger. Crime notwithstanding, the ownership situation may have been the most damaging of the contributing factors, because it ushered in an era of neglect in which the proprietors displayed a lack of interest in the mall’s success. That neglect manifested itself in deteriorating physical conditions and expanding vacancies. It hurt morale among the management team. It was also noticed by shoppers and the community. As a result, business declined. 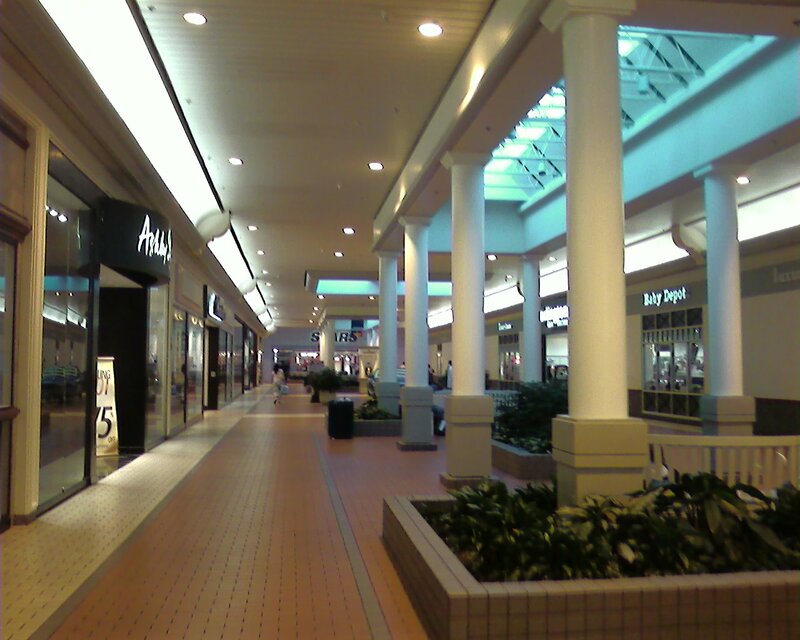 The situation began to change in 1997, however, when the mall was purchased by Capitol Investment Associates. The firm took a hard look at the facility, from leasing to property management to marketing, with an eye toward improving all aspects of the mall. The article is right in that management has clearly made major upgrades to maintain the cleanliness of the mall, and these upgrades are noticeable. As you can see from the photos, Security Square is very well kept-up and mostly leased with first or second-tier tenants and it continues to be a successful mid-tier mall today. I’ve been past this mall several times, but I’ve never been in. It’s a lot nicer looking than i thought it would have been, looking at the outside. That Sears shot is interesting. I don’t know when you took the picture, but it’s apparently one of the few Sears left without blue or white exterior signage. the brown is actually more flattering, but it’s certainly odd to see these days. Actually, Security Square is not in Baltimore proper. Baltimore County and Baltimore City are separate jurisdictions, and Security Square is in the County, about 4 miles from the City line. I’ve never had any racist comments hurled my way, and I too am in the minority when it comes to that mall’s demographic. The mall is mostly leased, and the anchors that remain seem to do pretty well, but the national tenants are dropping pretty quickly. The NY&Co left a few months ago, and the B. Dalton closed in January. They’re mostly being filled with mom-and-pop stores, to the point where this is definitely a “class B” mall in DeadMalls.com parlance. Still, this mall tends to go through cycles, and I tend to think it will have another upswing. Security Square has suffered for a number of reasons. The primary one, really, is that Baltimore is oversaturated with malls and has been since the 80s. It’s primarily a working-class city, and the per capita income just isn’t there in terms of supporting a mall at every other exit. Every time one mall opens or is expanded, another mall dies or is forced to reinvent itself, and our list of dead malls is long. It’s really kinda surprising that Security Square isn’t on that list. It isn’t in the greatest of areas and never has been, and getting there from 70 or 695 North is pretty ponderous. Its market is hemmed in by Owings Mills and The Mall in Columbia, and it’s what Chris Rock euphemistically refers to as “the shoes and baby clothes mall.” But in a way, I think that’s why it’s still alive and kicking. It’s not a pretentious upscale mall like Owings Mills, which went downhill the minute the Metro line was finished. When that happened, the thugs started rolling in from the ghetto, the mall became regular violent-crime news-story fodder. It’s not Towson Town Center with its traffic congestion and annoying multilevel layout and scary parking deck (all the more so for the guy who was killed there last year). It does a good job of serving its clientele, which is mostly comprised of working/lower-middle-class African-American service workers, many of whom come in by bus from West Baltimore. The mom-and-pop retailers there really know their audience, the anchors are solid enough to attract people from outside that demographic, and the bargain stores tend to have a lot of really good deals. Furthermore, it was configured pretty well in the sense that it’s really convenient for quick trips. In the amount of time it takes me to circle the lot at Columbia or the deck at Towson, I could be in and out of Security. I actually really like going to this mall. It may not have all the bells and whistles of Columbia or Tysons, but it’s a really fun place to shop for stuff you just can’t find elsewhere, and I’ve never felt unsafe there. I’m curious to see if business at Seoul Plaza picks up at all, though; every time I’ve been there, it’s been dead, and with so many other options around for our exploding Asian population, it faces stiff competition. Security Square was origianally anchored by Sears, JC Penney, and Hochschild Kohn department store. 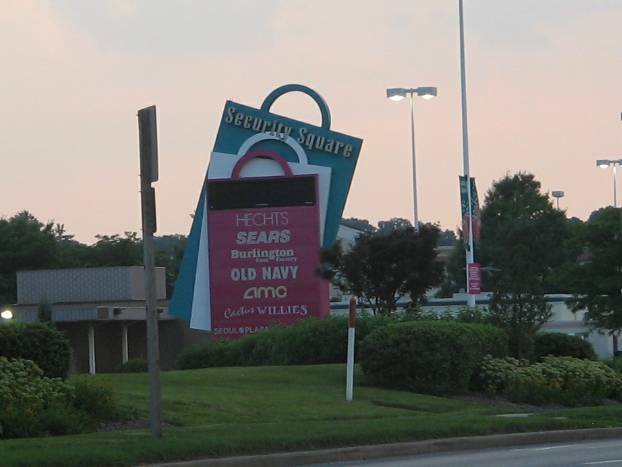 Interestingly, Hochschild Kohn closed their Edmondson Village store to relocate to Security Square. Over the years this mall has seen its ups and downs, currently in a down i would say. The mall has always seemed pretty safe to me with a visible security presence, and its just lowkey enough to not draw the attention of criminals. I too wonder if Seoul Plaza will ever pick up, but it doesn’t seem to get much business from the two demographics it seems to cater to (korean and african americans). The mall’s mom-and-pops feel does seem to diminish the value of the place, and the lack of any decent bookstore is rather disheartening. The mall and the area as a whole could use some new investment, but lately the businesses that have been coming to the area don’t encourage wealthier investors or even consumers to come to the area (businesses such as laundromats and liquor stores are appearing more frequently). The mall could also use some more fancy eating places, right now it only has the food court and Cactus Willie’s all-you-can-eat buffet. As far as racist comments being used, I haven’t heard too many directed at any group and can say that generally the area is welcoming to everyone. Overall I’d say this is a decent mall thats simply suffering from a lack of business, which probably is due to the competition from other malls. The high cost of leasing store space could have something to do with the mall’s condition as well. Rachel, please kindly note that this blog has nothing to do with the mall at all – it just has pictures of it and as ummary. The blog’s run by two guys who travel around and take pictures of malls. The fact that it’s called Security Square may be enough to spook some richer folks away. OK, new question: can anyone give me a list of stores in Seoul Plaza? Seoul Plaza is largely empty. Its largest business is a Grand Mart asian grocery store which is located on part of Penney’s 1st floor. Grand Mart is a DC asian grocery chain. The Seoul Plaza location is a poor stepchild of the chain and many Asian customers shun it for the better (and larger) markets nearby on Rt. 40. The last time I was in Seoul Plaza there were only 2 other businesses left. “Photo Love” and a clothing store was all that was left on the first floor. Up the Penney’s escalator is somewhat of an all purpose room and about 8 spots for a food court. In its heyday I don’t think any more than 4 stalls were ever open. I think 1 or 2 might still open every so often. Even the nail care center was gone. There was much potential here. Actually the old Hochschild’s (Hutzler’s) store has been utilized more successfully. Though it is chopped up and full of many different retailers, at least it is occupied. My favorite aspect of Security Square is the actual smell of the Macy’s. EEEwwwww! 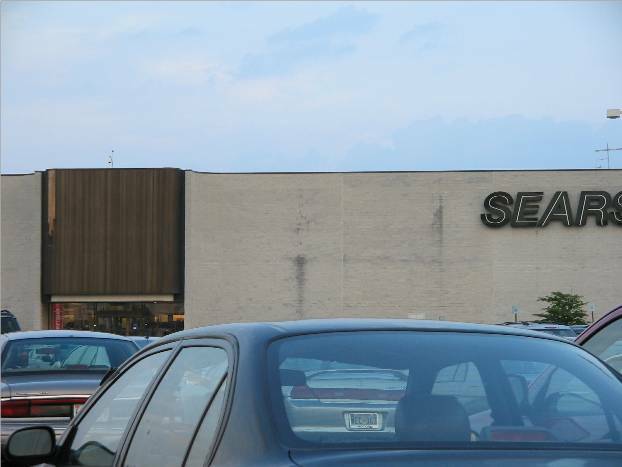 Also, I liked it when Sears’ sign for the longer time just said ” ear “. So Hutzler’s didn’t become Hecht’s? Where was the Hutzler’s then — where Burlington is now? Hecht’s was there from the beginning. Hutzler’s always was located 2 miles away at Westview Mall on Rt. 40. In 1984, Hutzler’s purchased the most profitable locations from Hochschild Kohn, which included Security Square, from Supermarkets General. This was seen as one of the many failed attempts to regain its market share from Hecht’s. The purchased placed two Hutzler’s while two miles of each other. Security was a more favorable location, though Westview was one of its earliest branches. The two locations were operated for a few years. When Hutzler’s had a first really major crash in 1987, it sold 50% of its holdings to Schottenstein, the liquidator who owns Value City. Schottenstein was able to relieve Hutzler’s of its Westview store and even today, the Westview store (which is no longer an indoor mall) operates as a Value City. The Security Square Hochschild’s/Hutzler’s is located where Modell’s Sporting Goods is, among other businesses. It closed as a Hutzler’s in 1989, one of the last, not final, Hutzler’s to close. Hutzler’s was such an iconic store. Its Howard Street store was an odd mix of class and kitch. The poor chain died such a horrible, long, painful death. Worthy of a book. Also of note, the Security Square store operated as a Wards for a period, until they too died. It would be great if Labelscar could profile another Baltimore-area mall. In particular, I’d like to see profiles of the Ownings Mills Mall, White Marsh Mall, and Marley Station. 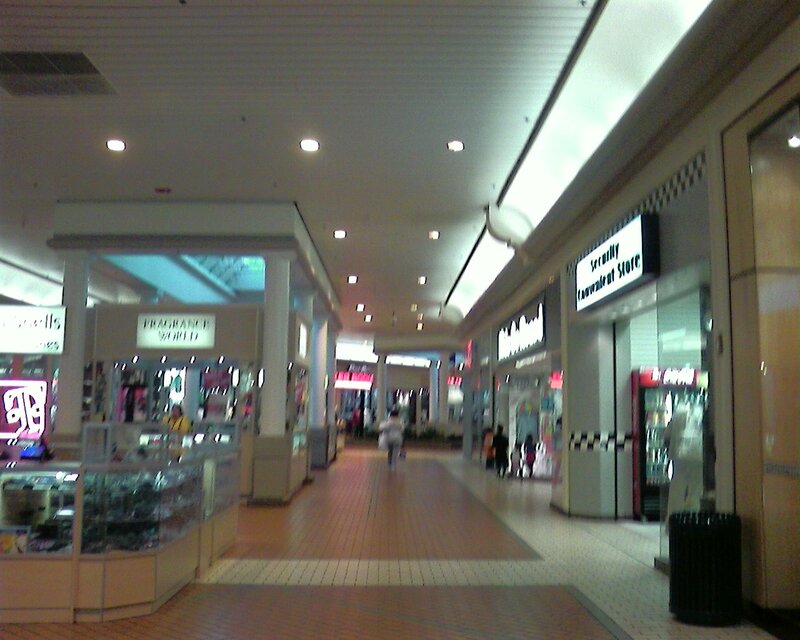 I misspelled a mall in the above post: it is supposed to be the Owings Mills Mall. Seoul Plaza seems to be dying off. Everytime I go into that section of the mall I notice one more store closed. As for the giant shopping bag and color scheme that actually came out of the more recent remodel, as did the jukebox in he food court. The Late 80’s remodel was extremely expansive. Where the food court currently is located was a four or five screen movie threatre and a cafeteria style resturant called “King’s Court”. While the mall is on an upswing, many of the nation chains that were once in the mall have left: Lane Bryant, Victoria’s Secret, The Gap and others. Hecht’s has been replaced by Macy’s. The department stores were both owned by the same parent company who choose to unite the brands under the more bankable Macy’s brand. As Macy’s go it is a very ugly store with an absolutely lovely staff. This Mall suffers from an image problem. Once the majority of shoppers became African American the major stores left fearing guilt by association. The major stores that stayed don’t remodel or send their more high end merchandise in an effort to lower sales and thus have an excuse to close the stores. I know most of this because I worked in several of the stores throughout the Mall for about 8 years. I know the crime stats and oddly enough this mall is actually safer than most of the high end malls. Oddly enough this mall and the other two “deadly, crime ridden malls” like the now defunct Wstview Mall and recently remodeled Mondawmin Mall are safer than most of the big, supermalls in the ‘burbs. Only when something, anything happens at Security Mall it makes the news with the most negative language possible. Other malls have rapes and car threfts in record numbers but you’ll never hear about it. Very interesting blog here as I was just talking about the Mall’s today. I have lived near Security for 18 years now. It used to be a very nice Mall when JC Penny was there. Every Year I wonder what new shops will pop up. When I shop I still usually go to Security, as before mentioned it is probably safer than some of the more upscale malls. I believe that Security Mall will do better as this area is growing with homes costing more around here. I remember at Christmas time there used to be traffic police to direct the cars in and out for the 2 weekends prior to Christmas. I think having Macy’s and the nearby Panera Bread have change the image “Woodlawn” used to have. By the way does anyone remember the name of the toy store that went out of business in the early 90″s? I remember one store on Liberty Road where Ollie’s is now but for the life of me cannot remember the name of the chain. Lionel Kiddie City!!! What a blast from the past…I remember going to Barbie fashion shows there when I was about 5. Real women wearing Barbie inspired-clothing (ugh, creepy in retrospect)…..I remember being a little girl and riding on my dad’s shoulders while visiting Security Mall. It had these round “UFO” type seats throughout the mall. Does anyone remember that? Brown circular plastic bucket seats that were dotted around and could seat probably 20 people, although no one would have been able to face each other. That mall was dead 25 years ago. The reason for the low crime rate? Not even criminals want to be seen there. I don’t think there is a renovation in the world that could reincarnate that place. 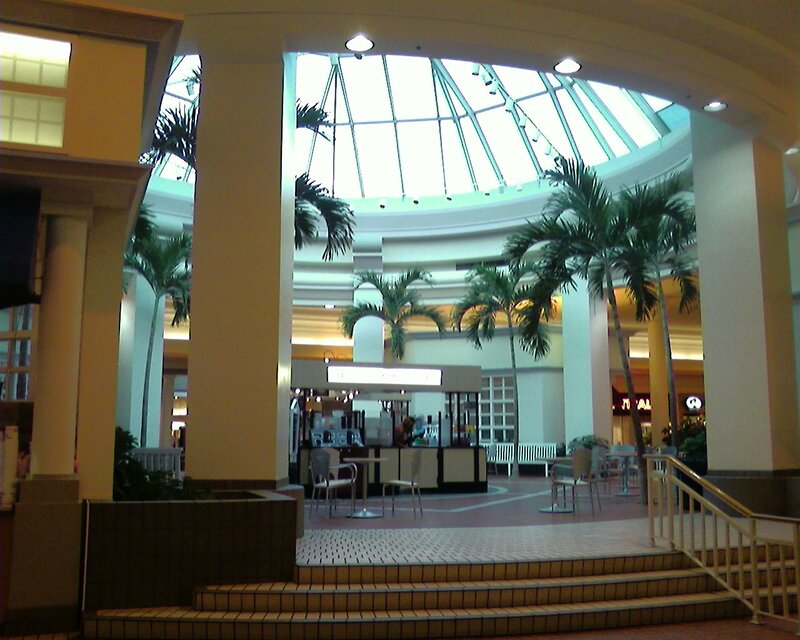 Owings Mills mall is next…all of the good stores are gone, even Disney closed down…Disney! What was once “the” place to be seen is now a shell of a mall, with cheap merchandise and empty storefronts. It is so sad to see…hopefully that mall can be revived. David S. Brown…hurry!! I have not been back there for about 15 years ( living out of state ) but it used to be a great Mall. I went to take some pants back that I brought for a present this past Christmas.Not even two months after purchase the store was closed.Some store called Pay Half they took the place of NY and Company.I wish they never took NYco away.Pay Half was only there for about a year and maybe a half.I remember Security Mall back in the day when they had the Steak House,the Piano Store and the GAP. Alot has happened over the years.Many stores have come and go.I was very young when the Steak House went but I was sory to see it go.I could get a good fat juicy burger,steak fries,and a desert and it was unber 5.00.I guess I was so young I really dont remember the movie theatre you all are refuring to but, I checked with my older sister who does remember it being there.They made a big mistake when the took out JC Penny only to put in JC Penny outlet and it did poorly,so it closed.I quess that wasnt there doing but JCs decision. The Sears employees told it was going to close about 2 or three years back.I quess the following X-Mas season saved them.The only stores I think are thriving are Macy,Burlington and Old Navy.The Soul Plaza is a waste of good space.They just shut down the market for not being clean.They have a food court thats not being used.The mall can be tured around if they just got the right stores.Maybe if they had American Eagle,Aroposile,JC Penny a good toy store and book store.Putting Nyco back would be cool but, I know thats not going to happen.They need to get something for every one a maturnity store,better mall stands ect.They need to put some good restaurants around the mall.Replace Benigans and use some of that other parking lot space to put another.I beleive with the right stores Sercurity Mall shall rise again. In the mid to late 1980’s there was a restaurant right inside the entrace, across from the Rite Aid. It was very similar to Sizzler (steak/buffet). Does anyone remember the name of the restaurant? It’s been driving me crazy for years trying to remember it! The restaurant was called the York Steakhouse. It was a cafeteria-styled place. My high school girlfriend and I used to go there all the time in the ’80s. Although I’ve never been to either mall, it seems that Security Square Mall is in considerably better shape than Owings Mills Mall. I’m guessing that’s because Security Square Mall does not have any vacant anchors lying around. (Although, as mentioned earlier, Seoul Plaza does have many vacancies within it.) And, aside from Seoul Plaza, most of the little shops in this mall seem to be occupied. Contrast this with Owings Mills Mall, which has two vacant anchors lying around, and entire wings which are empty. Am I correct in assuming that Security Square Mall was always intended to appeal to the middle and working classes? I bring this up because–interestingly enough–Owings Mills Mall was intended to be an upscale mall (evidenced by the fact that Saks Fifth Avenue was one of the mall’s original anchors). I recall reading somewhere that Owings Mills Mall was actually successful at luring upscale shoppers for years until a new subway station was built near the mall (which brought in the “undesirable” minority shoppers that scared off the white people). I personally find the subject of Baltimore area shopping malls to be a very fascinating one, given (1) the region’s racial problems and (2) the fact that the area is home to both extremely poor and extremely wealthy communities. While Owings Mills Mall and Security Square Mall are in the bottom tier of Baltimore area malls, I wonder which malls are in the top tier. While Marley Station and White Marsh Mall are successful, I don’t believe that either of them are on the A-list. Am I correct in assuming that the area’s top tier malls are The Mall in Columbia, Westfield Annapolis, Bowie Town Center, and Towson Town Center? @Max: While there’s some overlap between DC and Baltimore suburbs, Bowie is definitely more within DC’s sphere of influence, and Annapolis’ status as state capital makes it more of a standalone entity (though also more DC than Baltimore). Bowie Town Center’s also a lifestyle center, not a proper mall. So while Annapolis and The Mall in Columbia are pretty much neck-in-neck, I’d have to give that honor to Columbia. As for Security, I haven’t been in the area long enough to know how it was initially positioned, but it has been around longer than just about every other mall in the area. Columbia predates Security by a year, but I believe Security was initially larger, so it was a pretty big draw for the west side. Its failure to thrive is pretty easily attributable to an ironic juxtaposition of two factors: the perceived decline in area demographics due to white flight, and the fact that regardless of ethnic origin, the people moving into the area are often better-off or otherwise more status-conscious than the people they replaced. Kathy, I believe the name of the restaurant was the York Steakhouse. If I’m not mistaken, they also had another location at the Westview Mall. I grew up in Ellicott City, and worked in Woodlawn off and on for the last 10 years. When I was a kid, Security was the mall to go to. It was bigger than Columbia. When the movies were in what’s now the food court, that is where I saw the original Star Wars. I guess that was 1977! Once the, uh, “demographics” changed, that’s when my parents started going to Columbia. This is also about the time that Columbia got it’s major rennovation. 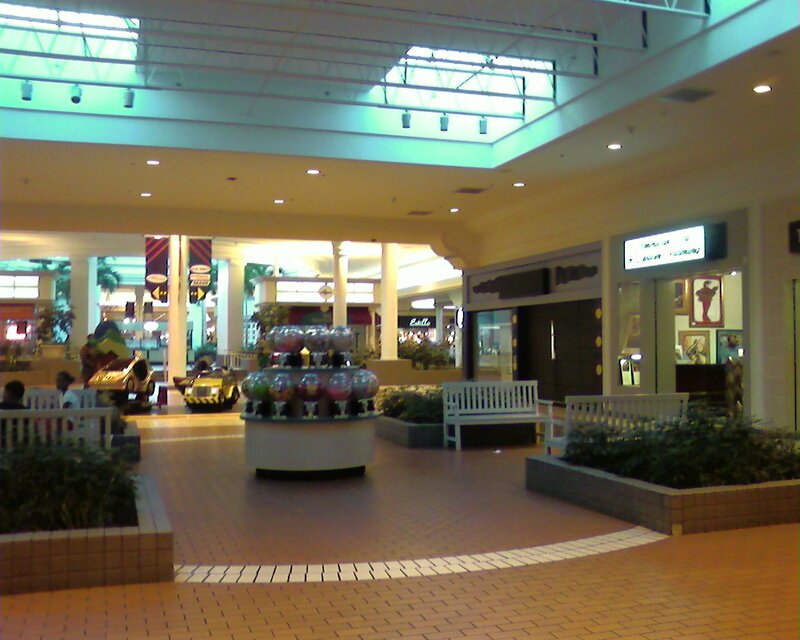 As I got older, the Columbia Mall was where my friends hung out, so there was little reason to go to Security, even though it was technically closer. Since I work in the Woodlawn area now, I go in the mall a couple times per month for lunch, or to go to the Radio Shack or GNC. I have attempted to shop for sporting goods at the mall. One would think that due to the very large number of sporting goods stores, that the selection would be great. Unfortunately, these are what I call “sporting goods fashion”, and they are not really practical for engaging in actual exercise. I think the best thing that has happened in the area was the addition of the Panera Bread. I have never felt unsafe at Security Mall, although normally I visit during workdays, so I am less of a minority. On the few times I have gone there on a Friday or Saturday night, I definitely stick out, and attract attention, but it is never threatening. It’s more of a bemused “what’s this white guy doing here?”. That said, I know plenty of white people who call the mall “scary” and would never get anywhere close, even during lunch. Which is just their way of saying that they don’t want to mingle with black people. In my pretty extensive experience of being a white person in a black area, if you don’t act like it’s a big deal, they don’t either. You might be a curiosity, that’s about it. My biggest wish for the area would be for a good book store. The Mall used to have a Waldenbooks and a B. Dalton, then it just had the B. Dalton, then it only had a “Karibou Books”, now I think that is gone too. It is annoying to have to go to Pikesville on my lunch break to shop for books. I just discovered this article yesterday and found it very interesting. Was sorry to hear duing the author’s visit that racial remarks were made toward her by a group of young women. We are very diverse here and respect everyones race, creed , color or belief. Thanks for you article and hope your future visits will be enjoyable. Hello! I remember that there used to be a restaurant within a department store at Security. I want to say it was Hecht’s? It was there in the late 80’s. It is very unusual but everytime I pass the mall from 70, I get the smell of beef vegetable soup from my memory. I would love to know the name of that restaurant within the dept store or am I mistaken where it was outside of the store and call York Steaks? Too young to remember! Thank you! Security is a terrible mall. Not because of the crowd, but because of the awful store selection. Even Mondawmin Mall has a Forever 21! I believe if they add more popular stores such as Forever 21, Wet Seal, American Eagle etc etc, they would get more foot traffic! I used to work in the Woodlawn area. I would occasionally go to Security mall for lunch. It was never crowded and there was plenty of parking. While other stores were mobbed during the Christmas season, you guessed it. Not Security Mall. The stores they offer, i.e., Sears, Macy and Burlington are good. However, they need a ‘Book store’ and a place that offers ‘good coffee’. They had an independent coffee shop but it was terrible. It was overpriced and the coffee was mediocre. I live near this place and I don’t do too much shopping there mostly because of the looks I get when I am there (I’m usually one of 10 white people in the mall at one time) but I do leave satisfied with my purchases. The Old Navy there is rather good and has decent sales. I don’t shop at too many other retailers there mostly being that clothes from “yo’ sistah’s closet” type stores isn’t my thing. 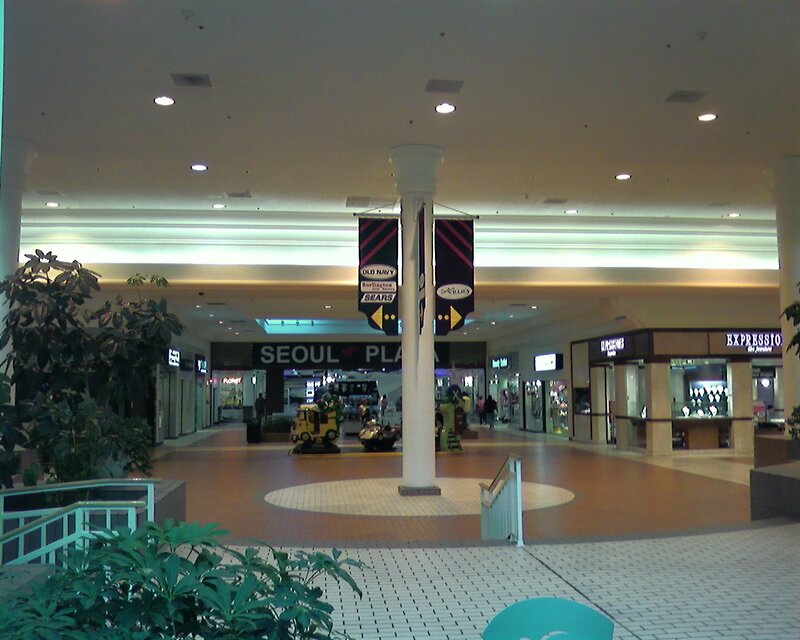 When Grand Mart was there I really liked it but they closed down and Seoul Plaza is pretty much a ghost town now. One time I went to the upper level (only one side of the ecscalators work and i couldn’t find an elevator to save my life!) and it was soo damn creepy there! The food court area is very pretty and clean but they only have one food place that might be open. It is really a shame, I really enjoy shopping at asian stores and even the HMart on 40 seems to be suffering a little (their cosmetics section is totally gone!). 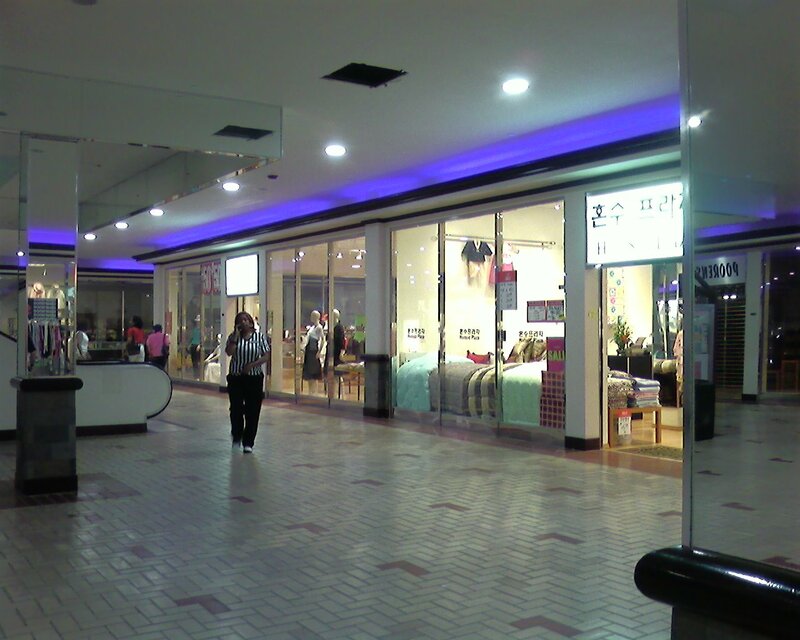 If they just brought in a more diverse selection of stores and got Seoul Plaza up and running again, the mall would get better again. Wow…people make it sound like white people don’t go here because they don’t want to be around minorities. Perhaps whites and people of many other races don’t go here because of the risk of being a crime victim, and the random shootings that have occurred over the years INSIDE THE MALL. This is the same reason I don’t go to Arundel Mills anymore, which is mostly white. They have an out-of-control crime problem that makes its scary to shop there. Enough with the racism already….geez. According to Caldor’s original posting, it seems like its the other way around. The white people seem to stay away because the minorities don’t like them. Reading many of your comments has taken me on a trip down memory lane! I remember the movie theater, steakhouse, Victoria’s Secret, The Gap, The Limited, and many more retail stores. The mall has really changed over the years, and not for the better. I was in the mall over the Christmas holiday and noticed 3 vacant stores! The mall consists mostly of sneaker and mom-and-pop stores. Even though I travel to White Marsh Mall and the Mall at Columbia to my major shopping, I will pop into Security Square Mall to visit Macy’s and Bath & Bodyworks. Oh, and let’s not forget The Great Cookie… home of the best snickerdoodles money can buy! But seriously, the deterioration of this mall is hurting area businesses along the Rolling Road corridor. At one time, Security Square Mall used to be synonomous with “quality”. Unfortunately, the mall is now a level or two lower than Mondawmin Mall in the minds of many. Wow, a real trip down memory lane! I remember going to both Westview Mall and Security Square Mall when I was growing up. My mom and I ate at the York Steakhouse frequently (thanks to those who mentioned it; I had forgotten the name too!) My friends and I hung out at Security Square back in the late 70s. One of my most outstanding memories there is when one of my buddies (I won’t mention any names to protect the guilty) poured a whole bottle of Mr. Bubble into the fountain! I moved away over 20 years ago and have been back maybe a half dozen times since, and while the area in general has a “grittier” feel to it, I must say I felt plenty safe at Security Square. At least it’s not a dead mall! @Tricey Brown, OMG….. that right there is a pretty good example of why this mall has gone downhill. I use to work at the B-Daltons at Security Square between 1998-2001. During that time the mall was ok. But then something happened and it started going down hill. The problem is dealing with the thugs. Its not a racial thing, its dealing with uncontroled kids who think they own the place. During my time working there I have seen thugs of all ethnic types harrassing patrons. What the mall needs is good management and attract retailers that will revive this mall. Its at a great location, people who live int he area are hard working and would prefer to go there than to drive 30+ minutes to other malls. This place and the area in general is home to me, even though I now live I D.C. I miss Fun-N-Games the arcade, and the indoor movie theater that used to be where the food court is now. Forget the thug youngsters that hang out there now. When I walk through I’m the boss, believe that. RIP CORINE BURKETT (MOM). I grew up out west along Liberty Road past randallstown in the 1970’s I have many many fond memories of Security Square. we went every august for back to school clothes shopping (ok kinda hated that) – It was THE mall on the west side of Baltimore and was the only place to go. I can remember the choc covered pretzels at Hutzlers or Hoschild Kohn (sp?) and can remember the distinct smell of the popcorn in the air and chlorine in the fountains. i remember my parents buying christmas decorations there. i even remember the really unique entrance / exit signs – they were these funky white oval shaped things. like someone squashed an orange. we bought cars nearby at fox chevrolet.